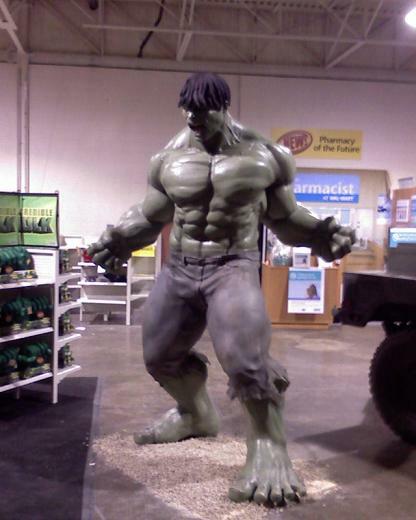 Randy Bowen has alluded to another Full Size Hulk statue coming our way this year! With the movie being released in June I don’t think this comes as a shock to anyone! But oh boy! This IS going to be a great year! I will update you with information when I can! Click on the image for a link to the semi-announcement! I found this picture and thought it was worth sharing! Now I have a great idea for this Easter! Get ready soon kidees! Hulk drinks milk – apparently. I like milk too. When it is really cold – perfect with chocolate. REALLY cold. Like ice cold. 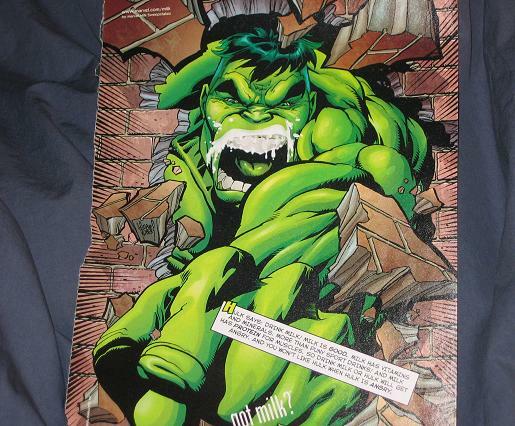 These milk ads were everywhere and it’s good to see that Hulk wasn’t left out. 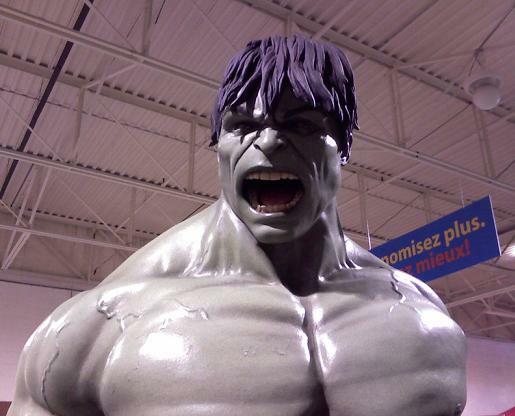 Although, Hulk still looks pissed! Maybe he just took a sip and found out that his milk was sour – not totally sour – but right on the verge of being sour – like a day or 2 after the sell by date! Man, I hate that. This bust was sculpted by Rudy Garcia. It’s a bust that’s limited to 5000 – this is 674 – and I have to admit – I’m not a huge fan of this bust. 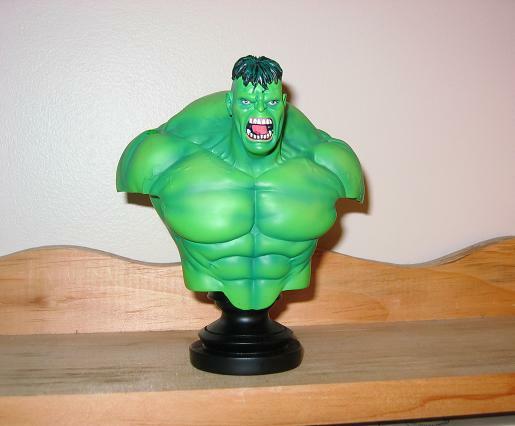 It runs for about $50 (but I got it off the ‘bay for $10) It’s a pretty sad representation of the Hulk but I guess if you can’t afford the Bowen bust and you really need one this is the only real alternative. The paint job isn’t so bad. 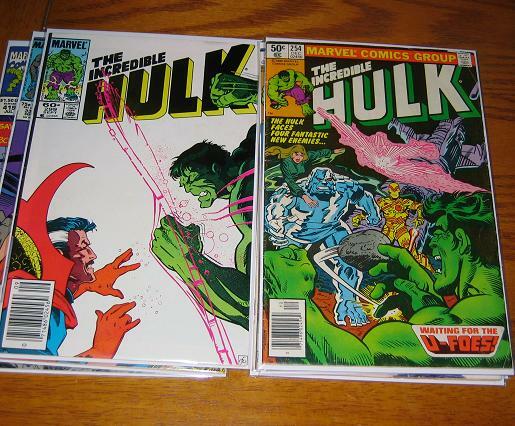 It does look as though Hulk has some pretty bad plaque build up. 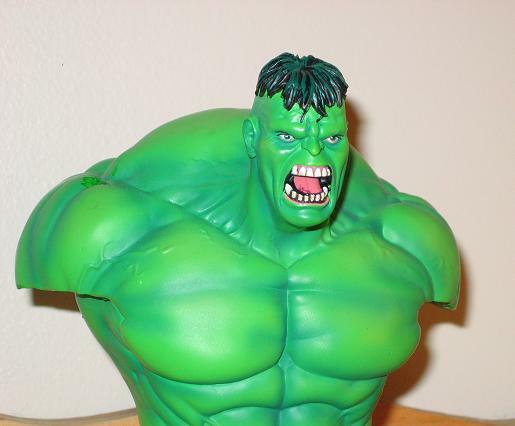 Hulk need to get to a dentist soon. 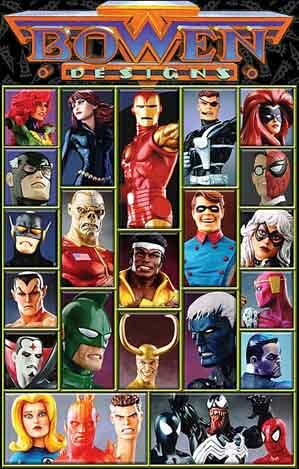 The Marvel Icons line has some pretty good busts, just not the Hulk. But like I said – I got it cheaper off ebay so if you want this – try there. Sometimes you can get a good deal. People must’ve been really bored in the 70’s. 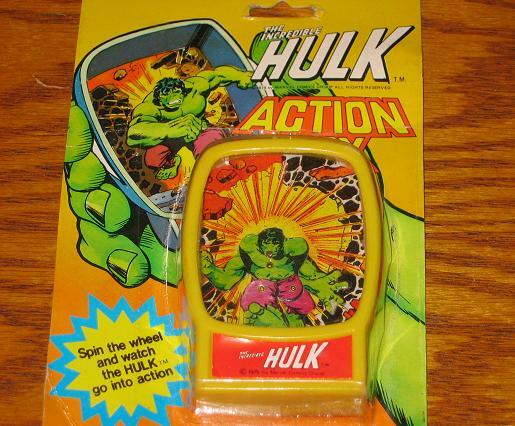 This 6-inch box has a little cardboard Hulk inside and there’s a wheel that you can spin to make the Hulk go into action. That action, I’m guessing, is to spin around in a circle. Round and round. And… that’s all folks! Get a gander at these… makes you wish June 13th was tomorrow, right? I haven’t given an update as far as my quest has been going in a bit – and because I’ve been really busy I haven’t been able to tell you how my week went last week. I’ve been so busy I’ve only been able to post maybe one thing a day! But last Tuesday I cleaned out the “Good Box” at Chris’ Comics in Marshfield. I took every issue that they had in the hidden box that I needed. Now all that’s left is the community box – but that’s getting pretty scarce too. I picked up about 8 issues there. I don’t remember which ones, sorry. Then, on Wednesday, as I was driving through Mansfield, MA I found a small comic shop in the basement of an auto parts store called “The Collector’s Guild & Comics” where I picked up another 8 or 9 issues. But Friday, after the storm, as I was heading home from Townsend, MA I went to a great (but a bit pricey) comic shop called Larry’s World of Comics. 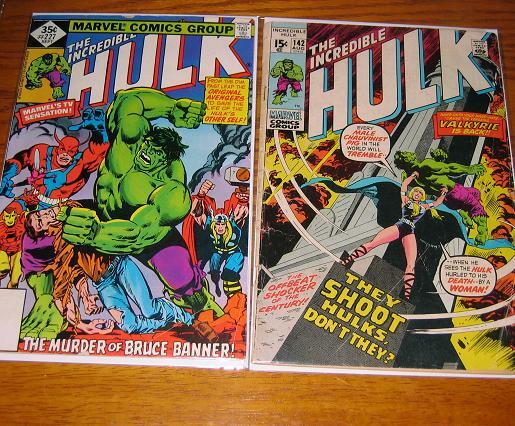 There I snatched up about 30 back issues that I needed. Leaving the total number of issues I need being about 43! Yes, that number is 43! It’s getting really close!